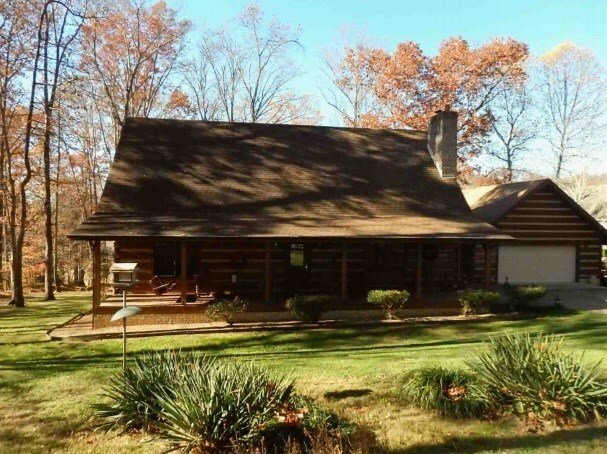 Cherokee lakefront log home nestled on a 1 acre gentle sloped lot. Home features 2070 sqft of living space, 3BR 2.5BA with a fireplace and a full unfinished basement. Additional features include a sunroom, wrap around porches, detached 2 car garage, and a boat dock. This home sits in a park like setting with mature trees in a quite lake front community. Come enjoy lake living!